Are you thinking of selling your old Apple iPhone 5S to upgrade to the new iPhone 6? Your search stops here, as Mazuma Mobile will give you a great price for your old iPhone 5S. The iPhone 6 has the most advanced specs yet for any iPhone, including a larger 4.7 inch display and a battery with up to 50 hours of audio playback, compared to just 40 hours for the iPhone 5S. After selling your old iPhone 5S 16GB for cash with Mazuma, you will be one step closer to owning the iPhone 6. Once you've registered your sale on the site, we'll send you a free sales pack - then simply post your old iPhone 5S 16GB to us within 14 days. Mazuma Mobile offer same-day payment once we have received your iPhone 5S 16GB. You smile, we smile. We have over 90,000 independent customer reviews and are ranked number one in our field. See what our customers are saying about us on Trustpilot and then sell your old iPhone 5S now. 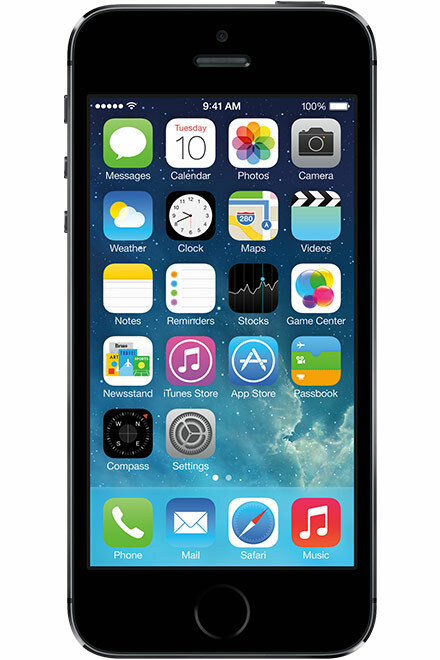 Unlock your Apple iPhone 5S 16GB and get £0.00 instead of £0.00.